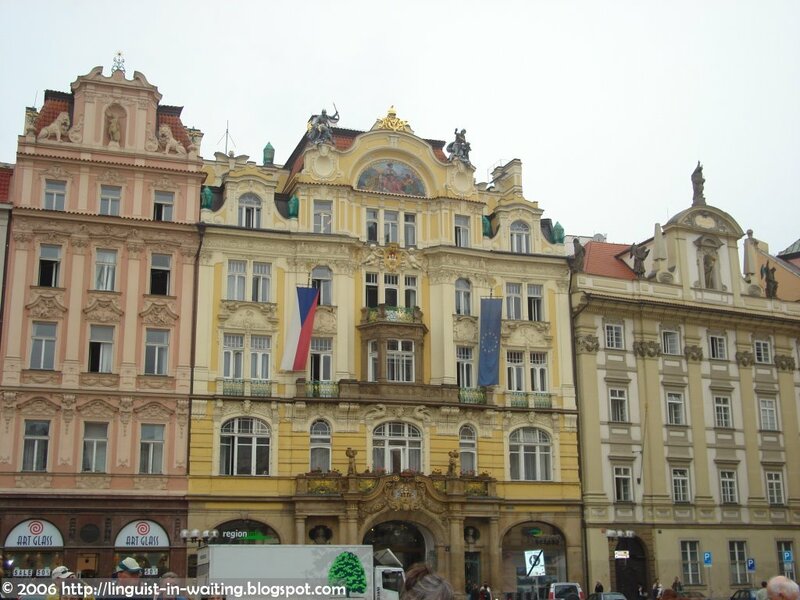 Staré Město or Old Town is one of the most picturesque areas in the city of Prague. In order to enjoy this, one must ditch one’s vehicle and instead stroll along the cobblestone-paved streets by foot. I began by walking along Celetná, which happens to be the street that runs underneath Prašná Brána. 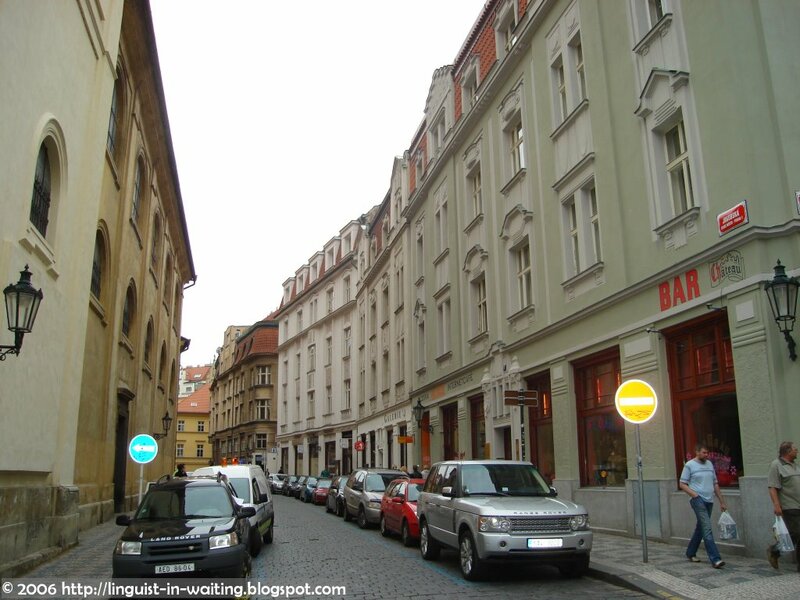 After about one minute, one would find the intersection with the former fruit market, also known as Ovocný Trh. The Ovocný Trh is now a small open square. 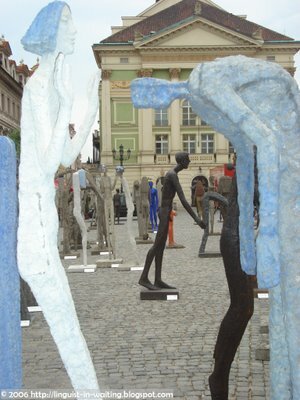 When I visited there last week, there was a sculpture exhibition by a Czech contemporary artist. I took a shot of his works. They looked like melted candlesticks, except that they were actually made of concrete. 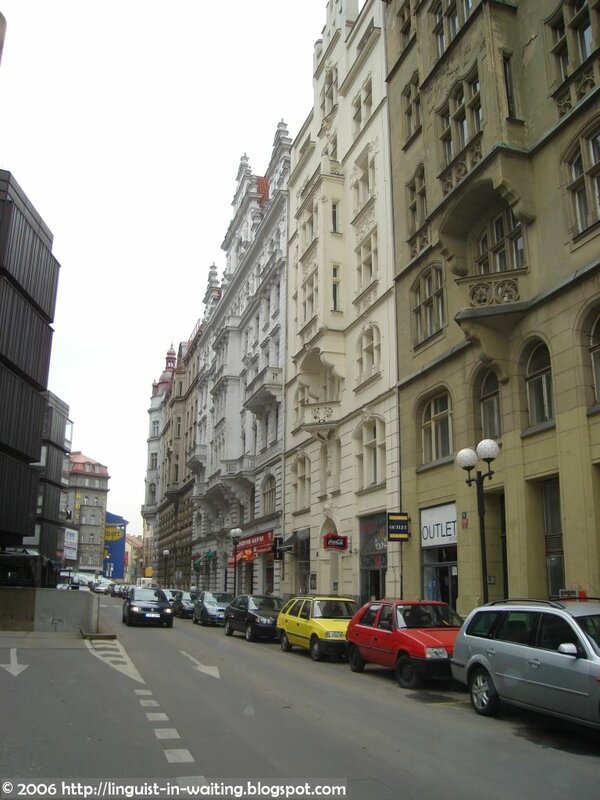 At the corner of Ovocný Trh and Celetná, there is a building that has one of the earliest Cubist facades. Lonely Planet says that Prague is famous for Cubist art, and this building was one of the first buildings to be designed in the Cubist way. 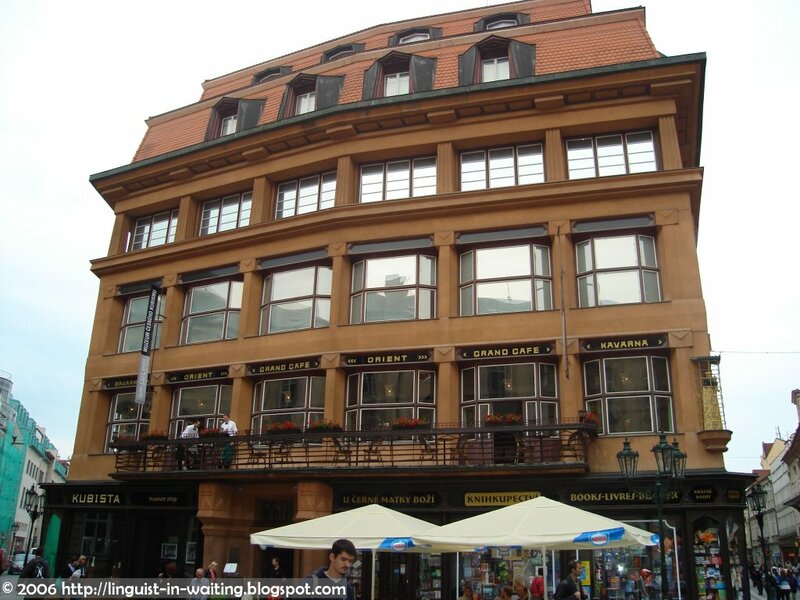 This building is called Dům u Černé Matky Boží, or House of the Black Madonna. If you look at the way the windows are designed, the windows have weird angles on them. 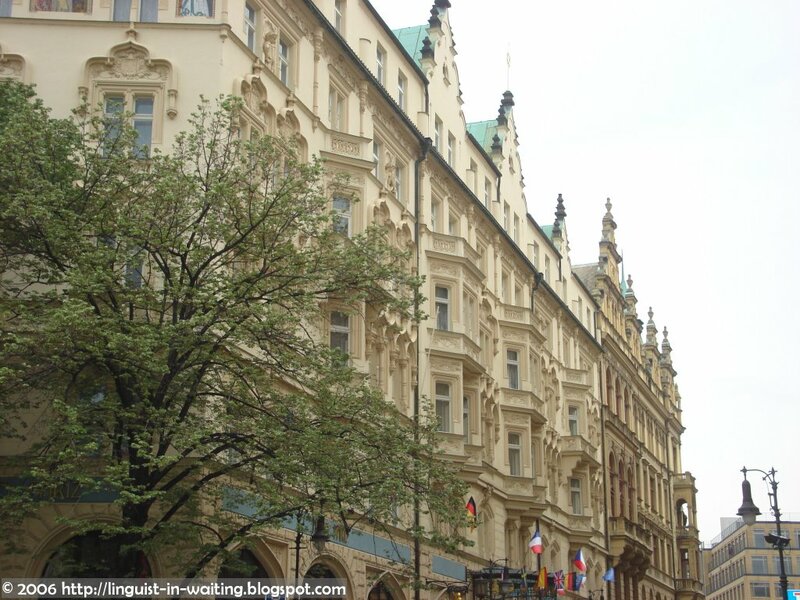 These are not found in the other traditional windows of the building facades in Prague. On the first floor, there is a Cubist Museum, which I didn’t bother entering, and there is also a Cubist café. I just took a peek at the window and saw that all the cutlery that is used inside have angles in them. This means that the coffee and tea cups aren’t round, instead, square, or something like it. After all, it is a Cubist café. 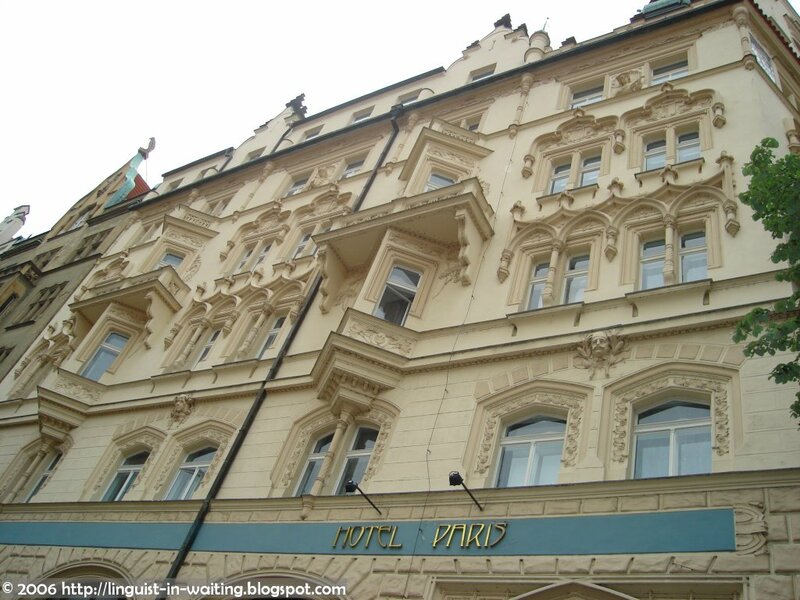 We then turned right to a street called Králodvorská to find the Art Noveau Hotelu Paříž. These are shots of the hotel. Built in 1907, this building was recently restored to look like this. Again, it reminds you of a Victorian Easter Egg. By the way, Prague’s streets are a mixture of old and new: the old streets are paved with cobblestones, while the new ones are asphalt. This is a new street, Králodvorská. 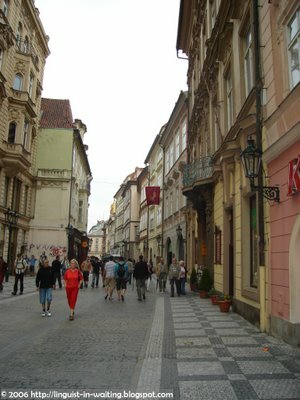 This is the street across the Hotelu Paříž. Jakubská, on the other hand, is old. I followed this street to the end, to find the Kostel sv. Jakuba, or Church of St. James. This church is famous for its pipe organ acoustics. Unfortunately, when I went in, nobody was playing the organ, and photography wasn’t allowed inside the church. 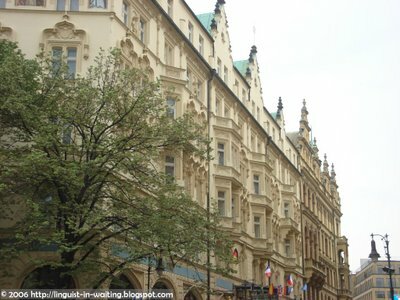 I continued on walking on Jakubská, until I reached Týnský Dvůr. This is a small square that was once a medieval merchant’s inn. 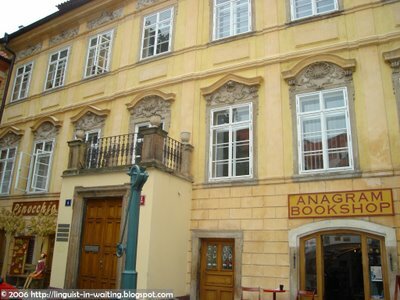 Now, there are plenty of shops and cafés, one of which was this English-language bookstore. This courtyard has several entrances. 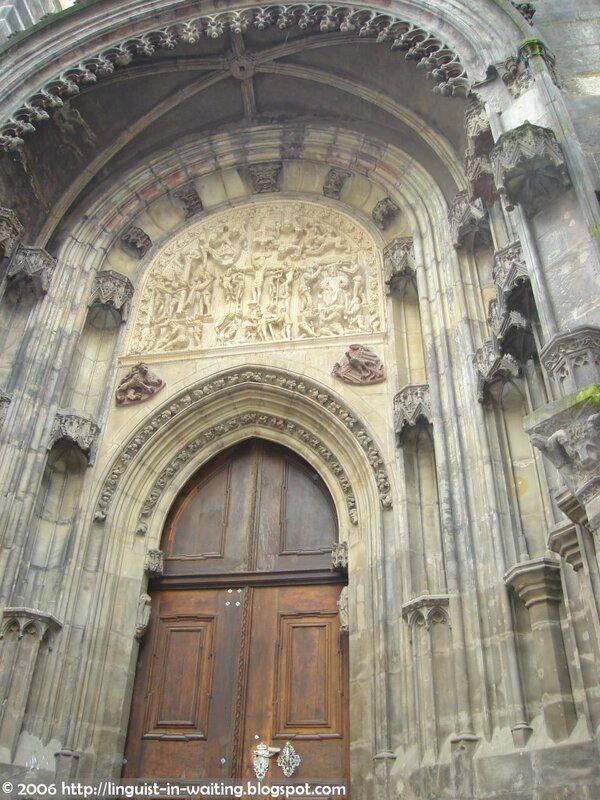 I exited on the other side, and I found myself standing in front of another church, the Kostel Panny Marie pred Týnem, or in English, Church of Our Lady Before Tyn. This is a shot of the northern door. Beautiful though the door was, it was closed, so I wasn’t able to check out the inside. A few steps from the church, one will pass the two houses where the famous surrealist novelist Franz Kafka lived. However, the houses now contain shops and there isn’t anything memorable about the current building, so I didn’t take a shot. From there, one will see the famous Staroměstské Náměstí, or Old Town Square. 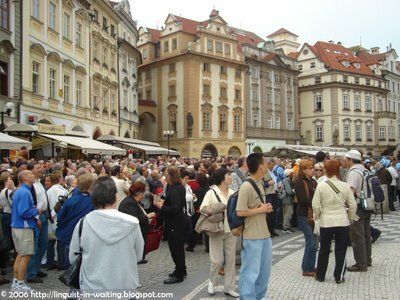 This is where the famous Astronomical Clock is. I arrived there at about two minutes before noon, so there are already plenty of tourists waiting for the parade of the apostles. I tried to get a good view, but to no avail. I took a shot of the tourists instead. There are plenty of shops and cafés around the square, but, as is the case with popular tourist spots, the establishments here charge ridiculously high prices but the quality is not so good. So it is better to go somewhere else if you want to eat. This is a shot of one side of the square. 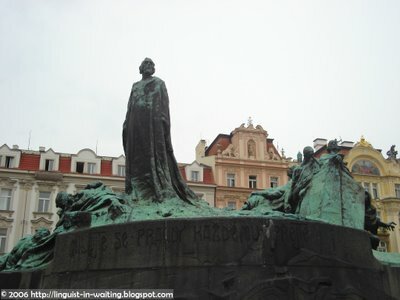 There is also a monument to Jan Hus. Jan Hus was the Czech reformer in the 14th Century. He was convicted of heresy by the Council of Constance and was burned in the stake in 1415. This Art Noveau statue was made by Ladislav Šaloun, unveiled in 1915, which was the 500th anniversary of Hus’ death. That is some pretty amazing photos. I love that doorway - it's my fave! Wwooww. No, not a typo, that's me drooling while speaking at the same time. Looks like a blast!